Welcome to the site on cancer prevention! Here you will learn how to create the most hostile environment inside your body for cancer by choosing to eat healthier and organic food, to use only chemical-free skin care products, to practice stress relief and to stop being a couch potato. 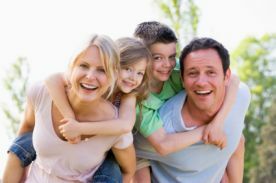 You and your family have healthy cells which can get rid of the cancerous ones. If all your body systems are healthy, they can stop cancerous cells from multiplying out of control. The hard truth is anyone can get it because our bodies make cancerous cells every single day. The good news is our bodies have built-in systems that can destroy them. 1. Avoid being under the heat of the sun between 10 in the morning until 4 in the afternoon. The sun's radiation can damage your skin and your eyes and weakens your immune system. If you have to go out between those times, make sure you are protected. Wear sun protection clothes and apply a good quality sunscreen lotion that contains the best sunblock ingredients. 2. Use extra virgin or virgin olive oil on your dishes and salad dressings. Prevention of inflammation is one of the best olive oil benefits you can get. 3. If you're prone to polyp formation in your colon, your risk for colorectal cancer goes up. Use natural colon cleansers such as fresh fruit juices, water and veggies. 4. Eating more of foods like salmon and walnuts to reap the benefits of an anti-inflammatory diet. 5. Adding freshly ground flax seeds to your dishes to enjoy the health benefits of flax seeds. 6. Make sure your immune system is strong enough to protect your healthy cells from viruses, bacteria and even cancerous cells. 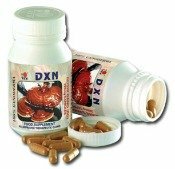 Ganoderma extract strengthens your immune system creating a balanced environment inside your body. Know everything there is to know about the disease. There are sections here that explain (as simply as possible) about its types, causes and even possible treatment options. You have to know why cancerous cells now rule inside your body. You have to learn what foods fed them to grow out of control because it might still be feeding them. You have to know what cancer prevention steps you can take. You need to know secondary cancer prevention, metastasis prevention and how to help your body get through your treatment. Remember, you still have a fighting chance. I'm not a medical professional but I know the disease personally. My father was diagnosed with it for 19 months before he passed away. The next worst thing besides his diagnosis was not being able to understand what his doctors were saying to us. So don't worry, things will be explained thoroughly in layman's terms as much as possible to make it easier for you to understand. If what you need or want is not discussed here, don't hesitate to contact me. Please subscribe to my Prevention Blog. It will let you know whenever any new or updated Web pages appear on Your Guide. By subscribing to the RSS feed (see the right column), it keeps you up-to-date with all the new pages as they go up, as well as all special postings. Ok, that's about it. Let's start our journey to cancer prevention. The materials on prevention on this website are for informational purposes only, and do not constitute professional medical advice or even purport to amount to opinion. Since every medical condition is different, a suitable medical doctor should be consulted to advise on and resolve specific health issues. The information on this website is made available as a guide only and you use it at your risk. This means that you accept that www.your-cancer-prevention-guide.com and its publisher will not be liable in any respect concerning the interpretation of data, or any disputes which may arise from their use.